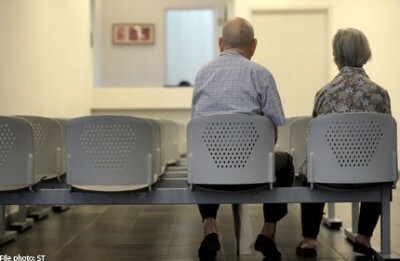 Future retirees in Singapore face the grim prospect of their retirement savings running out halfway through their retirement, as they estimate their savings to cover only nine out of the 17 years they expect to live in retirement, according to HSBC's latest study, the Future of Retirement: A New Reality. This is also the case in Asia and globally where on overall average, retirement assets dry up just over half-way (56 per cent) through retirement. During the remaining eight years depleted of retirement savings, they are left to grapple with rising healthcare costs and other burdens associated with old age as they transition from active retirement into the years of frail retirement. It also does not help that over half (56 per cent) of Singapore respondents acknowledge that they are not preparing adequately or not preparing at all for retirement. The report aims to identify people's retirement needs and how they are preparing for it, providing authoritative insights into key issues associated with ageing populations and increasing life expectancy around the world. More than 1,000 respondents in Singapore participated in this study. In order to live comfortably during retirement, people in Singapore indicate that they will require 66 per cent (or two-thirds) of their current annual household income which works out to be S$60,400 or S$5,033 per month. This is 68 per cent more than in the last 2011 study where the figure was S$3,000. Singapore's income replacement ratio, together with Australia (also 66 per cent), is the lowest across 15 countries surveyed where the global average is 78 per cent. Cash remains a big part of Singaporeans' wealth portfolio. On what makes up retirement income, the study found that the largest proportion will come from cash savings and deposits which constitutes a third (34 per cent) of retirement income here, followed by investments (19 per cent), and property income and assets (12 per cent). This reliance on cash to fund one's retirement income is reinforced by another finding where over two-thirds (69 per cent) of Singapore respondents expect cash savings and deposits to contribute towards their retirement income, followed by life insurance (54 per cent), stocks and shares (37 per cent), and income generated from property (36 per cent). Paul Arrowsmith, Head of Retail Banking and Wealth Management, HSBC Singapore said: "There is cause for concern from the finding that the retirement savings of people in Singapore will run out after nine years which is about the time they are entering into frail retirement and a stage of their lives when medical costs and other elderly care expenses are expected to rise." "This shortfall is exacerbated by an over-reliance on cash savings which will erode one's retirement income amidst today's low interest rate environment and high inflation. There are many ways to deploy one's cash savings more effectively and generate more attractive returns so as to better support one's retirement lifestyle and needs. The advantage of cash is its liquidity which allows for diversification into other asset classes to capture growth opportunities in the market and re-balance one's investment portfolio according to evolving needs and circumstances. Those with a stronger risk appetite can consider multi-asset strategy funds, dividend-paying funds or annuity products to counter inflation while more conservative investors can stay with time deposits in various currencies or fixed income instruments," added Mr Arrowsmith. Spending more time with friends and family (71 per cent) and taking more holidays (63 per cent) are the top two most popular retirement aspirations cited by the large majority of respondents here. Interestingly, the desire to continue working is an important aspiration for 47% of Singapore respondents, indicating a significant lifestyle change where retiring later in order to earn a living for as long as one can is becoming more prevalent as people cope with longer life expectancy. This is considerably higher than the global average of 35 per cent, which seems to support a general observation that more in Singapore are staying employed beyond the conventional retirement age out of necessity, rather than choice, to maintain a lifestyle of their preference. With close to half anxious to keep up with previous standards of living, it is, therefore, not surprising that the top three fears accompanying these aspirations about retirement are poor health (70 per cent), financial hardship (62 per cent) and not having enough money to provide for good healthcare (60 per cent). Walter de Oude, Chief Executive Officer of HSBC Insurance (Singapore) said: "Financial planning has become especially relevant as increased longevity and elderly dependency challenge people's retirement nest egg. According to the recent Population White Paper, in 2012, there were 5.9 working-age Singaporeans for each citizen aged 65 and above but this ratio is projected to shrink to 2.1 by 20302. A strong savings culture is no longer sufficient in itself. What is needed is a structured and disciplined approach guided by a professional financial adviser to help people start or catch up on their retirement planning." "There are readily available products such as annuities and investment-linked policies which grow and accumulate one's wealth while providing insurance coverage at the same time. For example, a 35-year-old male who takes up HSBC Insurance's Growth Manager Plus can expect a cash value of over S$550,000 at age of 65 based on 8 per cent per annum projection by paying S$770 monthly in premiums. He is also covered for S$150,000 against death, critical illness, total and permanent disability. During frail retirement, a comprehensive plan such as HSBC Insurance's Early Critical Care comes in handy to provide financial protection for up to 90 different types of critical illnesses," added Mr de Oude. Mr Arrowsmith said: "People are living longer, through tougher economic times, and expectations about their standard of living in retirement have risen. The study has pointed out important shortfalls about people's retirement planning. Better late than never, Singaporeans, regardless of age or income, are not without recourse on what they can do to plug the retirement savings gap and mitigate or even possibly eliminate the negative future scenarios. They should start conversations with their wealth advisers soon to plan out their retirement, one in which they are financially-secure and able to maintain the lifestyle of their choice which HSBC, with our global expertise and insights, is able to leverage our world-class wealth management solutions to help them approach their retirement with confidence."